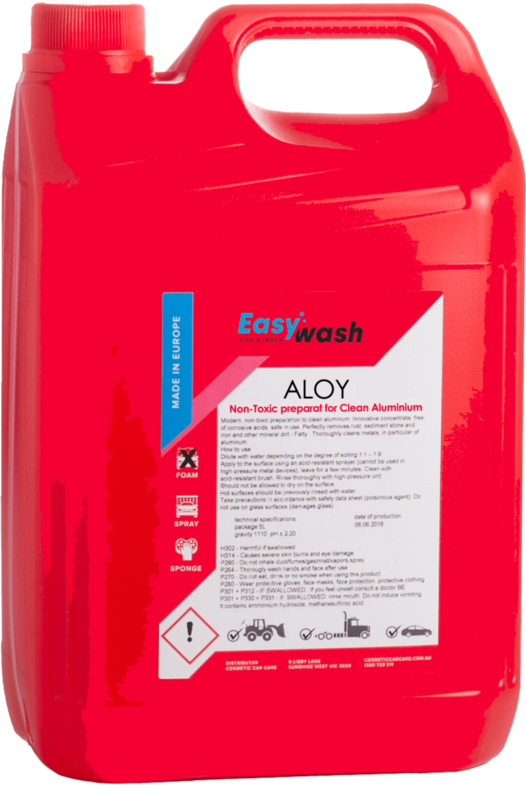 This is a modern, non-toxic agent which allows effortless cleaning of aluminium. It is an innovative concentrate, free of corrosive acids and totally safe in use. It perfectly removes rust, sediment stone and iron and other mineral dirt.